Mike & Joyce have worked with local, out-of-state and international clients. They have far reaching contacts in all phases of the business: sales, title insurers, lenders and inspectors. They are a hands-on team, available 7 days a week and are very responsive to their clients. Mike and Joyce know the Central Florida market area extremely well and would be glad to advise you on what might be the best fit for what you are seeking in a home purchase or sale. 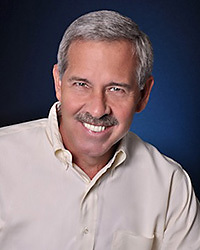 Mike started his career as a homebuilder, following graduation from Stetson University with an accounting degree. Soon thereafter, he received his Real Estate Broker's license which he has had since 1980. Mike works with both residential and commercial transactions.